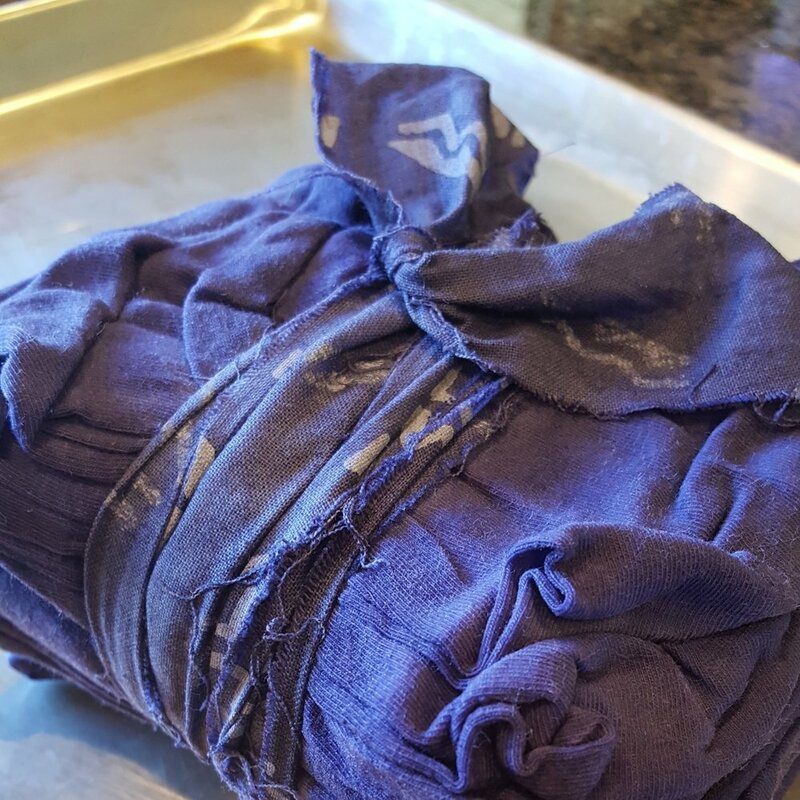 Black Bean dye is the only dye that I have used in my journey (so far) that doesn't utilize heat to extract dye. 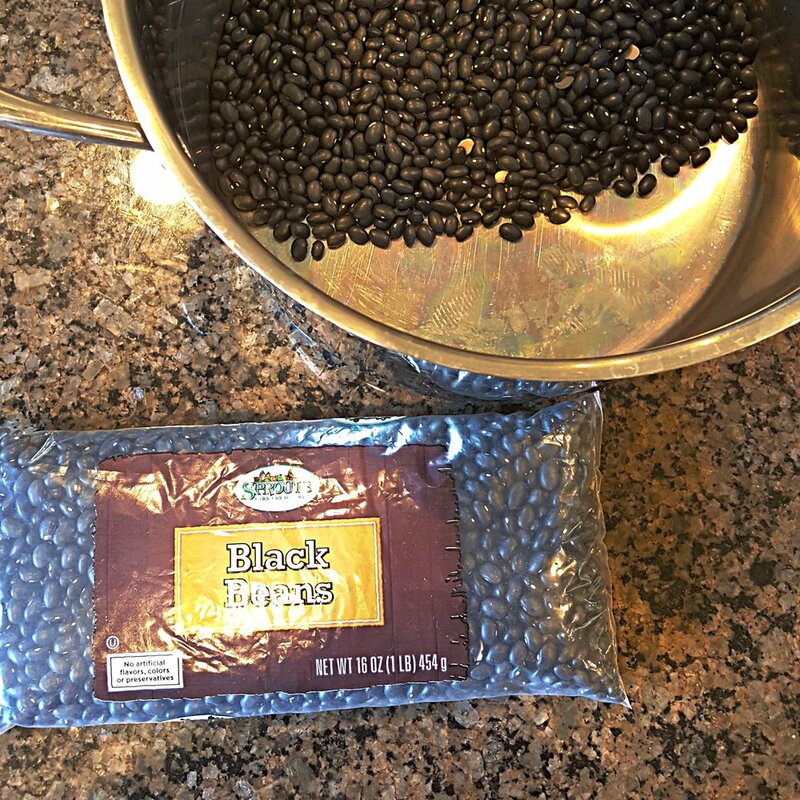 To achieve a black bean dye, simply soak your black beans in a pot of water for about 20 hours, similar as you would to prepare the beans for cooking. For this dye I used my large dye pot (we did not eat these beans) and two packages of black beans from the Sprouts. Cost was around $3 for both bags. After soaking the beans overnight I prepared the fabrics. All of the fabrics used had been previously soaked in a soy mordant a few days ahead of dyeing. 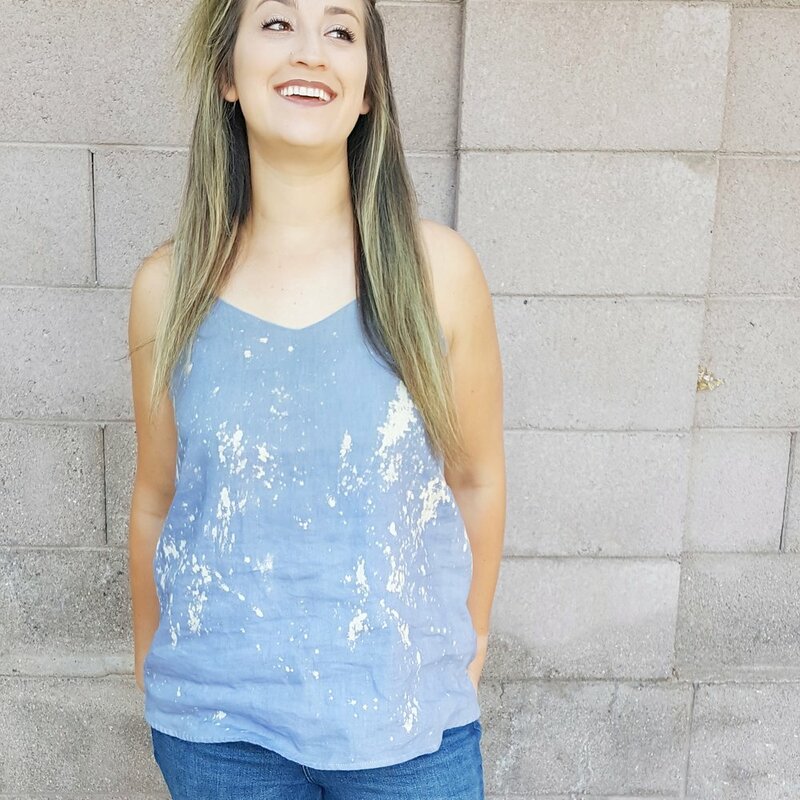 The fabrics included 100% linen (thrifted), cotton/ spandex knit from Blackbird Fabrics and a Robert Kaufman PFD (prepared for dye) linen/ cotton blend from Fabric.com, purchased on Amazon. Prepared cotton knit with a linen scrap tie... awesome use of scraps, if you have any around. There is definitely a technique to dyeing black beans. The beans themselves are not the dye. You will use the left over soaked water/ residue from the beans, which is on top of the beans. DO NOT touch the beans! If you mess with the beans underneath you will ruin the color of the purple/ blue dye and a darker color will appear. Not to say you couldn't try this also, but if seeking the blue and purple colors; touching the beans will not help achieve these colors. For example with the dye I will show below, I actually left the black beans in the pot the entire time I dyed my fabric. I don't think this is a technique many use, but I didn't want to risk my dye changing color by separating the beans from the water dye solution. 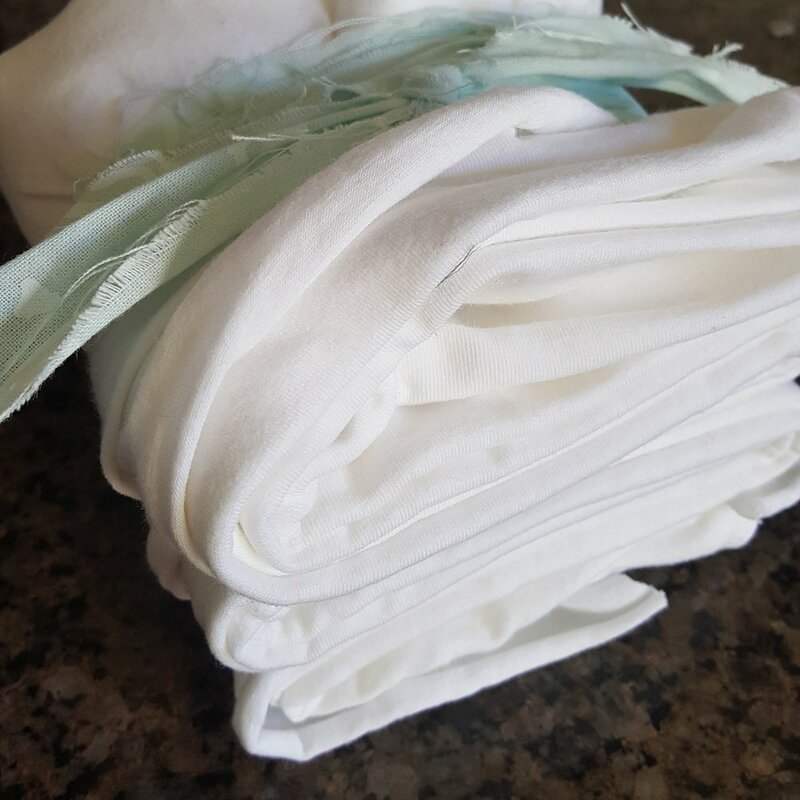 If you do need to separate the dye from the beans make sure to wait a significant amount of time for the dye to settle back to the top and separate from any loose bean pieces and then begin dyeing again. I have had a variety of colors dyeing with black beans; blue, purple and gray. It is an experiment each time and every time the beans seem to have their own ideas around the colors that they are willing to unleash. 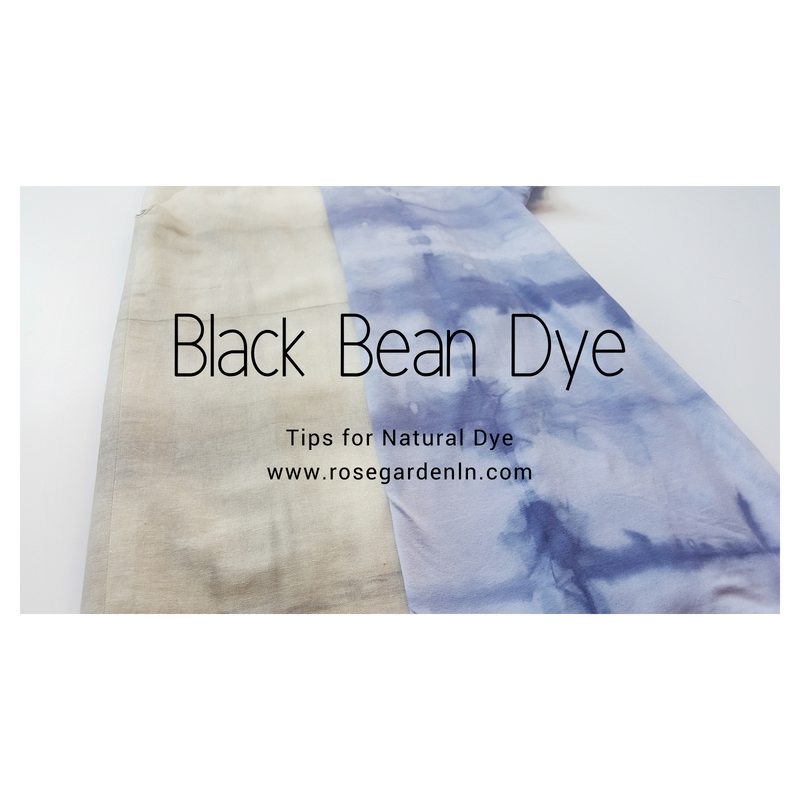 Black Beans are definitely an easier dye due to the fact that you do not need a heat source and all you really need to achieve a wide range of colors are prepared fabrics, beans and water. 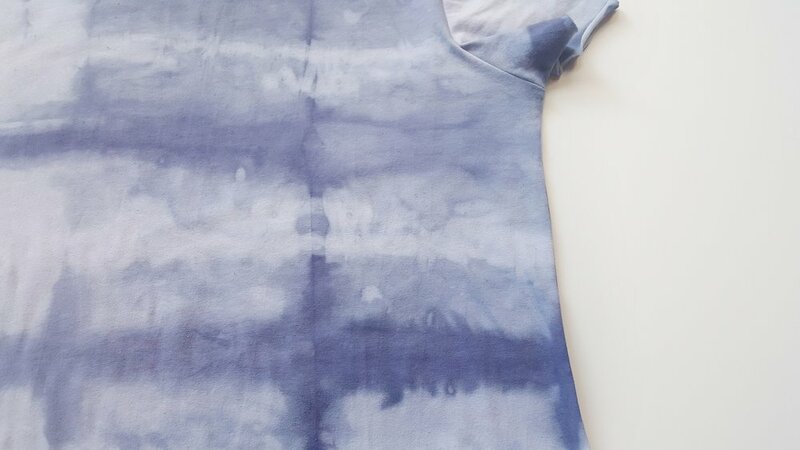 Would you give this dye a try?